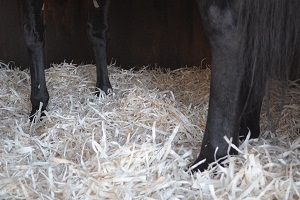 Equi-bed offer two different options of shavings to choose from. Our Premium shavings are Exclusive to Equi-bed as the machine that manufactures the shavings is the only one of its kind In South Africa. 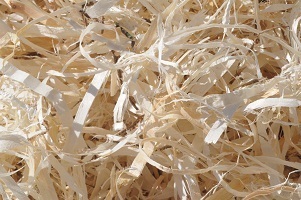 The shavings are longish in shape and the benefit of this is.. It is dust free and can be used in horses with breathing problems. Because of the shape the shavings do not break down into small particles and turn to mush. They also don't move to the side of the stable when your horse moves around leaving a bare patch in the middle causing chapped hocks. When you clean out your shavings on a daily basis and push the shavings to the side of the stable they will dry out again due to the airflow through the shavings. Because the shavings are fluffy there is better insulation against the ground and its comfy for the horse to lie down on. We bag our shavings in Polyprop bags.